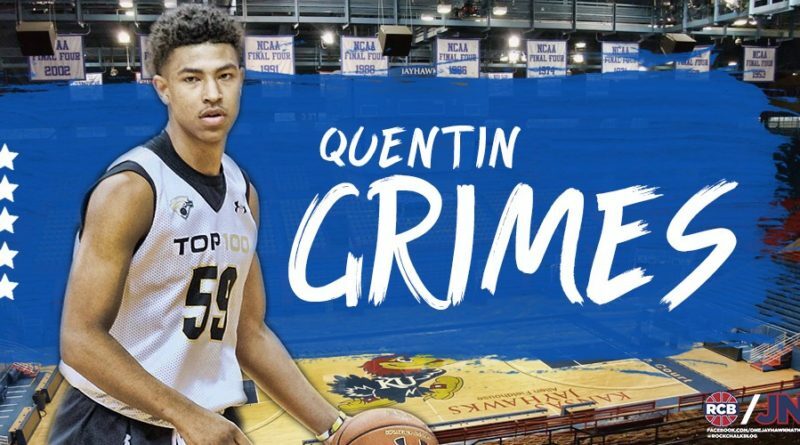 Quentin Grimes, a five-star combo guard from College Park High School, announced on Wednesday evening that he would be joining Bill Self and the Kansas Jayhawks in 2018. 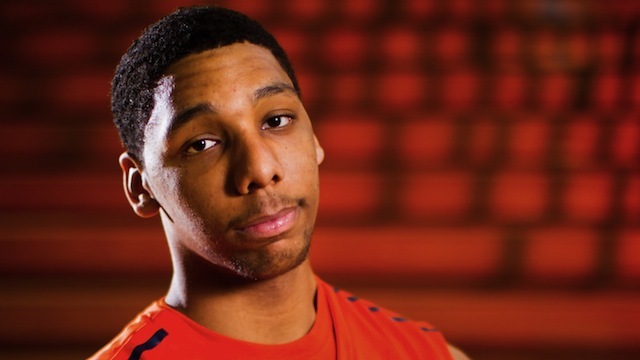 The Woodlands, Texas native ultimately chose Kansas over Texas. Kansas was the anticipated favorite, who held a 100% edge on his 247Sports Crystal Ball for much of his recruitment period. 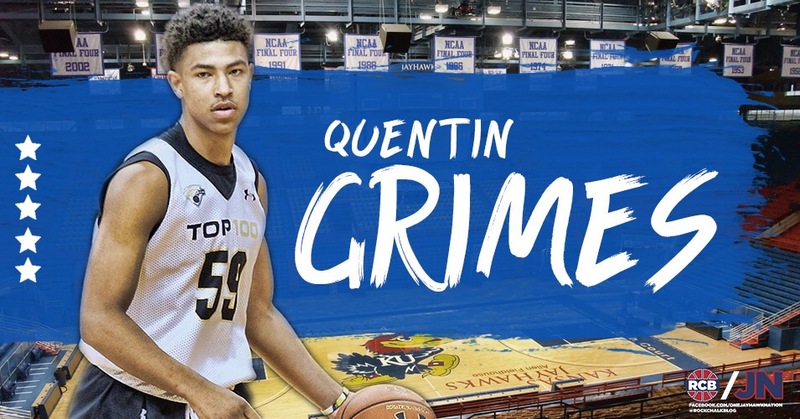 Officially listed as a “combo guard,” Grimes is thought to be a perfect fit in Bill Self’s style, where “in-between” guards have thrived in the past, such as Mario Chalmers and Tyshawn Taylor. The 2018-19 Jayhawks will look much different than the talented 2017-18 team, particularly in the backcourt. 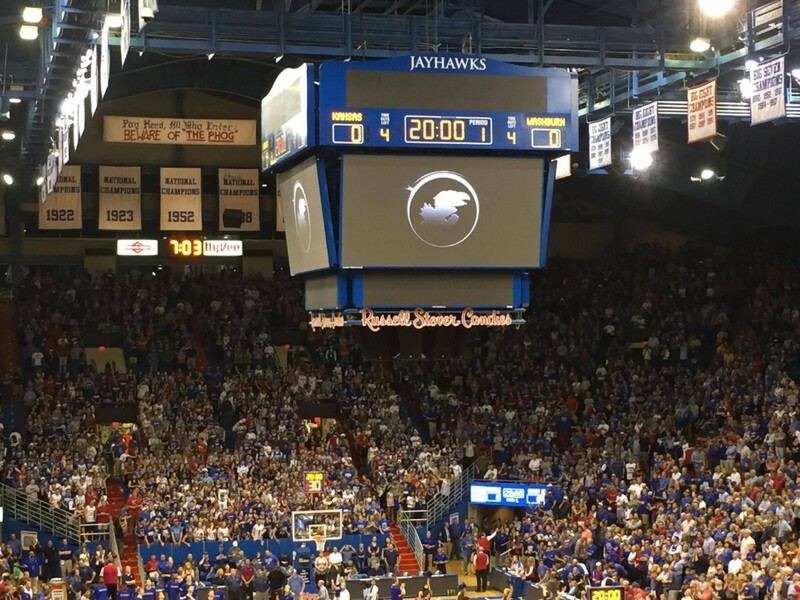 Devonte’ Graham and Svi Mykhailiuk graduate, and wings Lagerald Vick and Malik Newman could take a jump to the NBA. The 2018-19 backcourt will feature Marcus Garrett, who will likely start next year, but the rest of the cupboard could be bare if Vick and Newman wind up declaring. It also features five-star point guard Devon Dotson, who committed to Kansas last month and is pegged as one of the nation’s top incoming freshman point guards. Grimes’ commitment vaults Kansas’ class to No. 1 or No. 2 in every notable ranking site; the Jayhawks and Duke Blue Devils own the top two spots in either order on 247Sports, ESPN, and Rivals. Grimes is the fourth Jayhawk to commit in the class of 2018; all four commits are in the top 35 of ESPN’s recruiting rankings. He joins the likes of four-star center David McCormack, four-star power forward Silvio De Sousa, and Dotson, who could anchor the backcourt with Grimes next season. Kansas’ 2018 class is shaping up to be arguably the best in the history of the program, rivaling 2013’s Andrew Wiggins/Joel Embiid/Wayne Selden/Frank Mason class for the best Bill Self has ever had. Just a typical teenager that thinks above the box. Probably have to deal with more Kansas State fans than you do. I love playing sports and also sharing about my passions through writing. I also do a little bit of graphic design work.